As a four-time New York City Marathon finisher, Geneva Simms knows a thing or two about pushing the limit. She leads her classes with a fusion of clear, concise instruction and just the right words of encouragement needed to finish a workout successfully. With a heavy focus on the mechanical aspects of fitness, Geneva’s workouts are strategically structured with a focus on finishing strong. She will not let you quit – and you will love her for it! Geneva’s certifications include CPR/AED, Mindfulness Meditation (Journey Meditation), Kundalini Yoga and Meditation (Golden Bridge NYC with Gurmukh and Gurushabd), Non-Violent Communication Strategies (Center for Non-Violent Communication), Krav Maga Level 1 Instructor (Krav Maga Academy), Personal Training (NASM), Small Group Training (NASM), MMA Conditioning (NASM), Women’s Fitness and Pre/Post Natal (NASM), Fitness Nutrition (NASM), Group Exercise (AFAA), TRX Group Suspension Training, TRX Level 2 Force Training, and Jillian Michaels BODYSHRED for which she was selected to be a Lead Master Trainer certifying trainers throughout the country to be BODYSHRED instructors. Additionally, she was chosen to be a lululemon Ambassador in NYC. Her genuine love for teaching stems from an innate desire to empower clients to empower themselves. 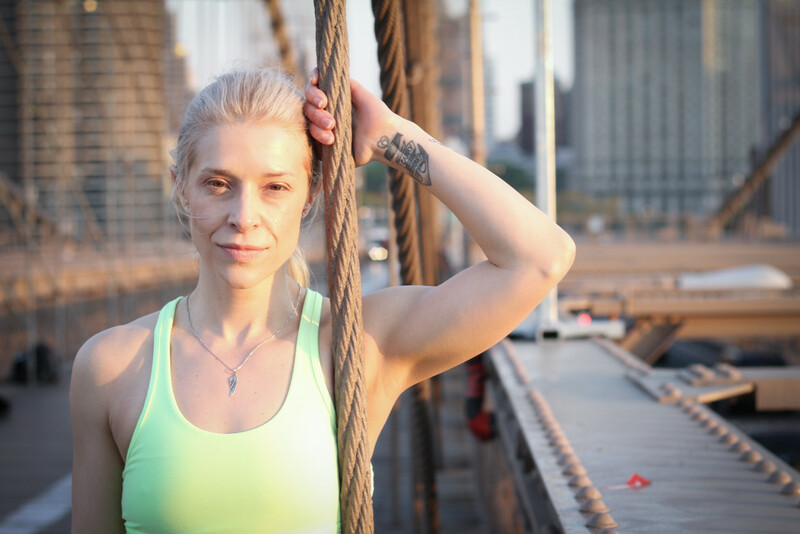 Geneva’s personal workout regimen is comprised of a mix of running, boxing, TRX, extreme athletic conditioning, HIIT, and strength-based fitness methods. She is a firm believer in diversifying one’s overall fitness strategy so the body doesn’t plateau and the mind doesn’t get bored. No matter your individual fitness goals, Geneva is an advocate of patience and persistence, and believes that the path to results is paved with patience and commitment. Approachable with a wealth of knowledge on effective nutrition and exercise strategies, she is known for being friendly and happily sharing this knowledge with clients both during and after class. Whether you’re a nervous newcomer to high impact workouts or a fitness veteran looking for something new, Geneva’s classes or personal training sessions are sure to bring out the best in you. For information on booking personal training sessions or corporate wellness and meditation programs, please contact Geneva through the Contact Page.